I have this amazing friend, Peter. Peter was my hairdresser when I lived in Lismore. We stayed mates even though I don’t live there anymore and we don’t see each other. We’ve retained telepone contact and when I hear his voice on the other end of the phone it makes me smile. 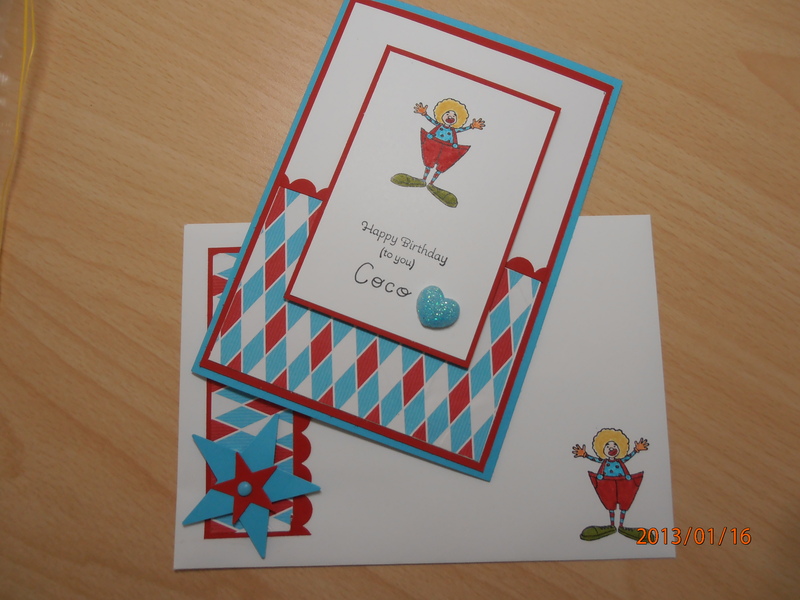 Peter is a wonderful person and became a grandfather last year and he began the tradition of having me make the first six birthday cards for his little grand daughter. Well this year Peter became a grandfather again! To another precious little girl, Coco. 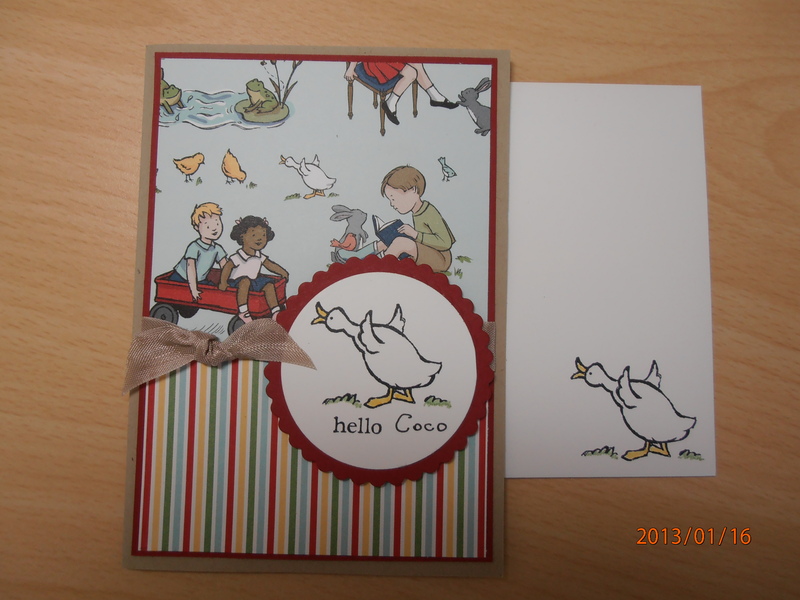 The only ‘must haves’ to Peter’s order is that each card must feature the little one’s name. 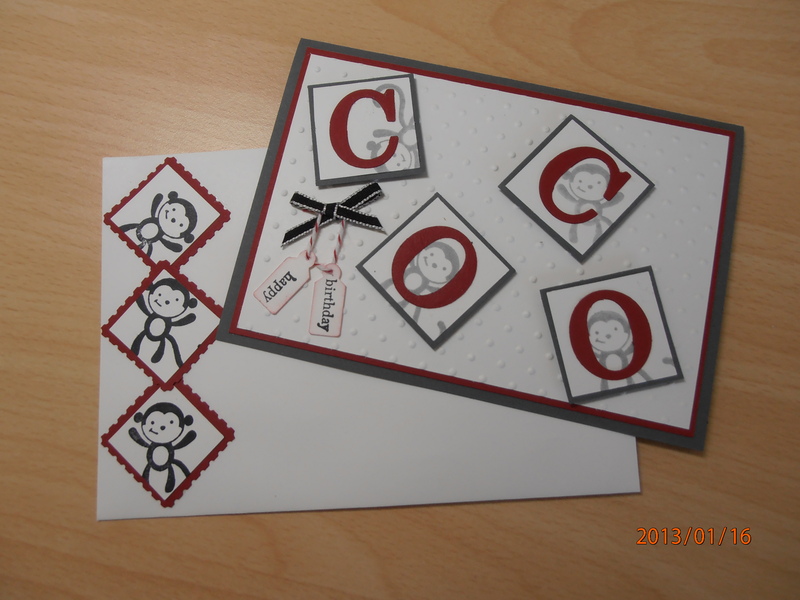 So here are Peter’s cards for little Coco. He was so happy with the results. The first card features the retired stamp set “Fox and Friends”. I so love this set and cannot bear to part with it. 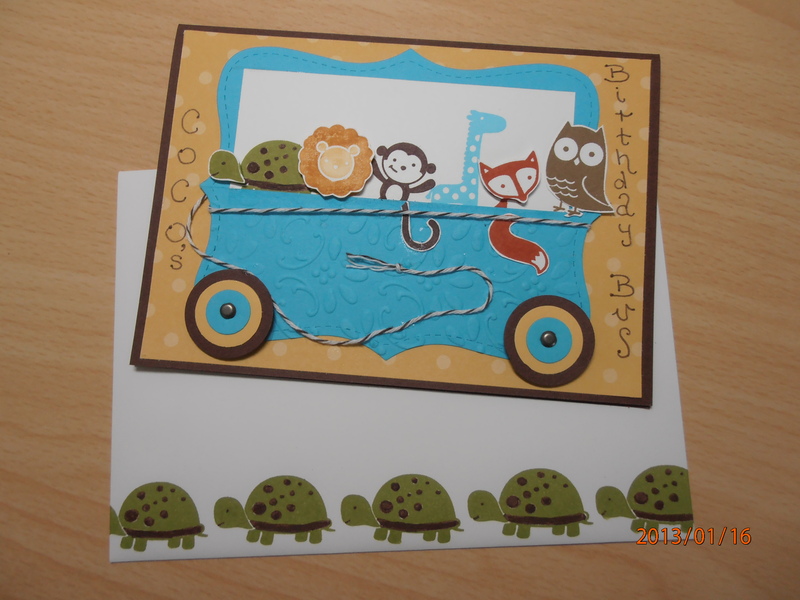 I’ve made the ‘bus’ out of the Top Note die and embossed it. Then it was just a matter of cutting out the animals and placing them in the bus. What little girl doesn’t love ice-cream? 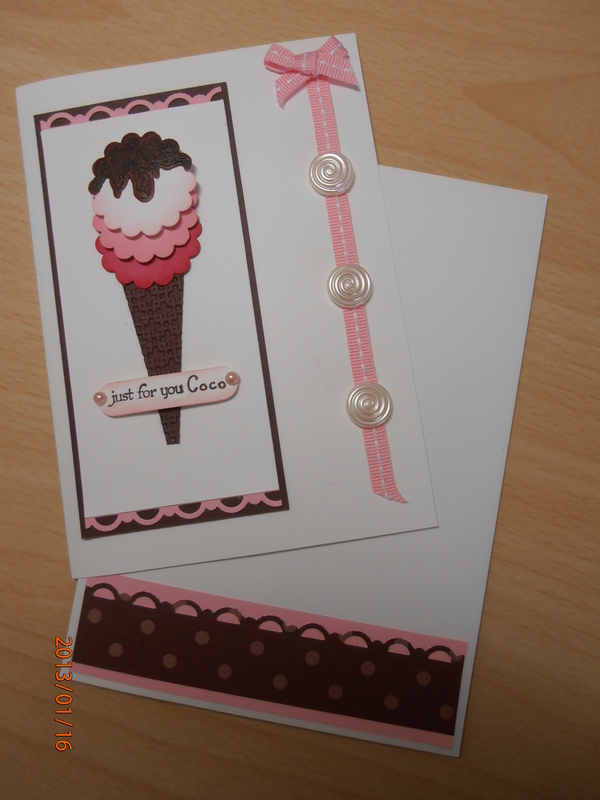 So some punch art ice cream scoops and a big Shot Embossed ‘cone’. Stampin’Up! makes creting soooo easy. For the finale I returned to Fox and Friends added some Big Shot cut alpha letters and voila! Thanks again to Pinterest for helping me out with this one. I would have been totally lost. Oh they are adorable. So well done. And what a treat to have Peter as your friend. 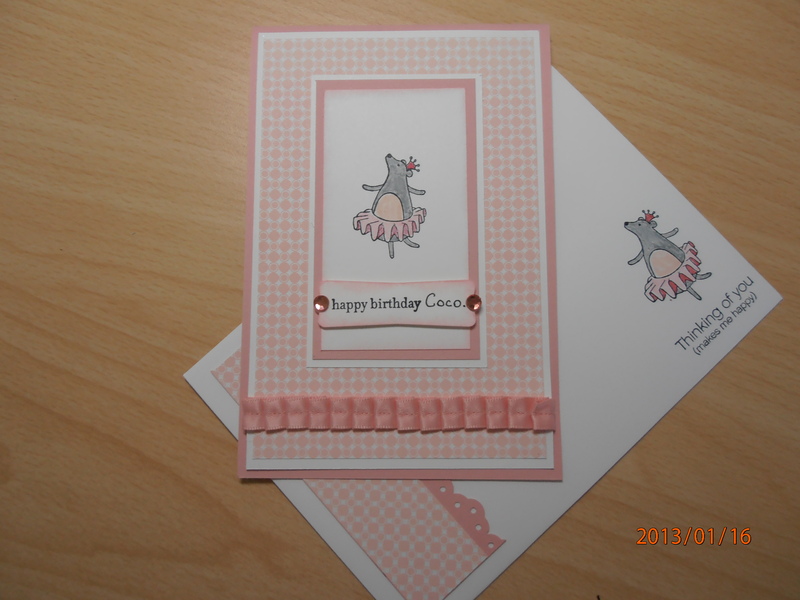 It’s a ballerina MOUSE silly not a seal.